I've talked on this blog before about how difficult breakfast is for people pursuing a plant-based lifestyle or people who don't like/consume meat or dairy. Especially if, like me, you don't understand why people eat a) cereal and b) copious amounts of fruit. I really don't like either of those things, and never have. Even better: I also don't like pastries, and donuts are a dessert-like treat that I only enjoy on special occasions. Vegan pastries are really hard to find here anyway, so it's not like I would eat them for breakfast, but you get my drift. Breakfast: it's tough for me. Thankfully I do love oatmeal, and it's my go-to breakfast at work. But on weekends, or on a day like today, when I've taken a "mental health day" from work/life/the soul-crushing everyday routine of my life these days (oh my gosh, so needed, you have no idea), oatmeal isn't going to cut it, because it's boring, and who wants to eat oatmeal at home? Not me. Not me. Which brings me to this morning. This morning, I started off my mental health day with a run, and along that run, I ended up at Whole Foods (so typical). The rule "never go grocery shopping when hungry" does apply here, but I'm not very good at listening to my own rules, so never mind that. I picked up the first three things that caught my eye/nose, ran home and made a really satisfying, amazingly easy vegan breakfast. And I even got inspired to take photos of it with my real camera, so we're OG food bloggin' it today. 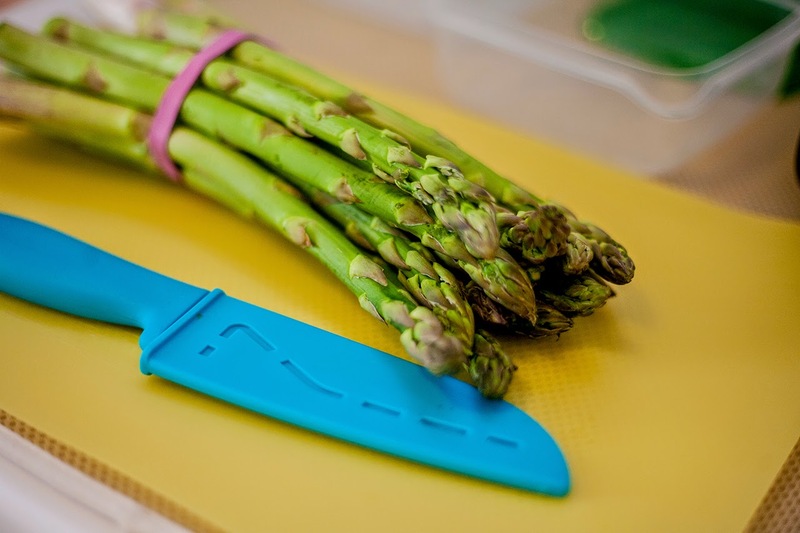 First up: seasonal asparagus (organic, free range, duh) from Stockton. Asparagus is probably the only good thing to ever happen in Stockton (real talk). Because this was the "big" asparagus, I cut each stalk in half before throwing it into a heated pan with olive oil, sprinkling with salt + pepper, and sauteeing until the stalks began to brown. 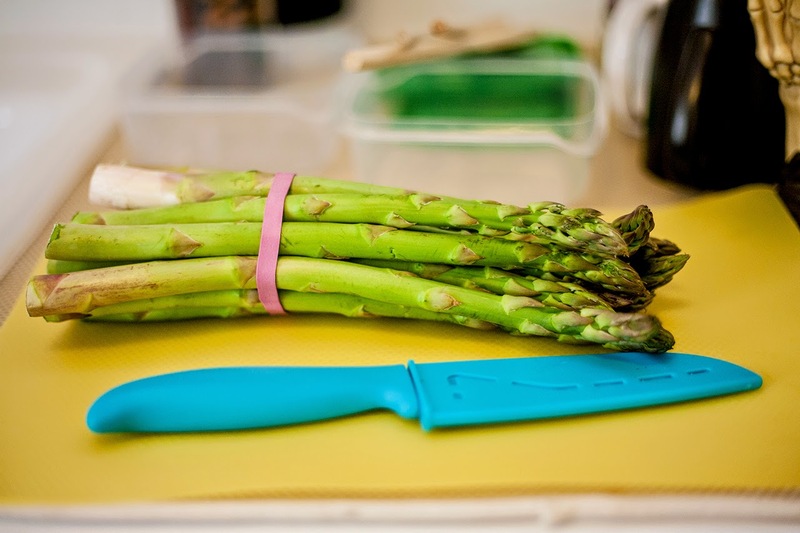 It's really up to you how much you cook your asparagus, but make sure you're flipping and stirring with a spatula, because overcooked asparagus = sadface, and it burns easily. 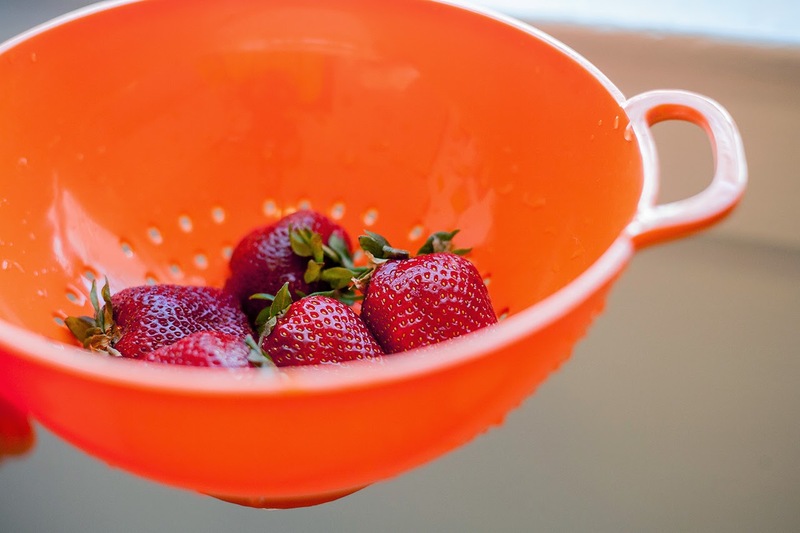 Next up: strawberries. I actually hadn't planned on getting any strawberries until I walked by the display and was lured by their incredible, sweet scent. 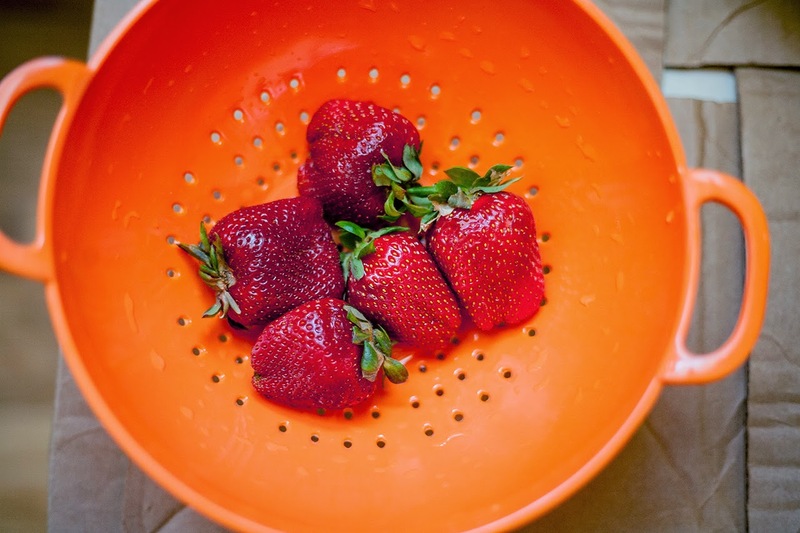 Strawberries are my favorite seasonal fruit, and I'm powerless against them. I went home with a pint of them in my bag. 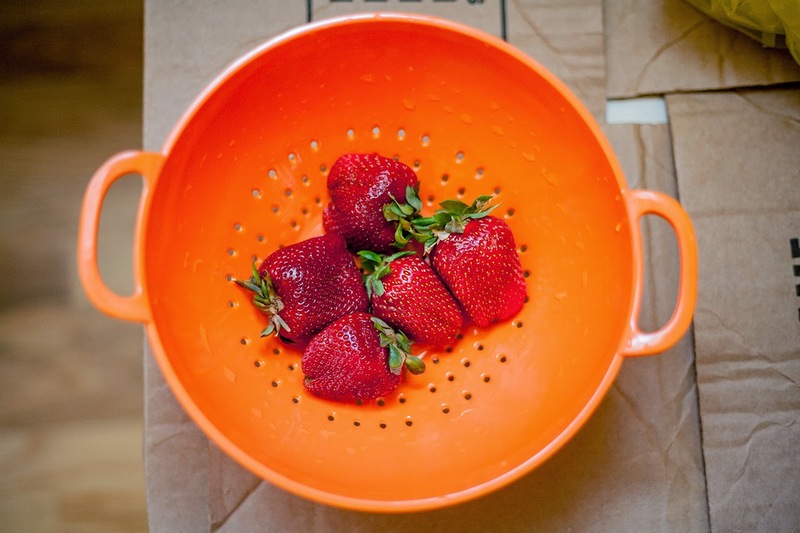 These are right on time for strawberry season in northern California, and yes, we are so spoiled. Just rinse and eat! 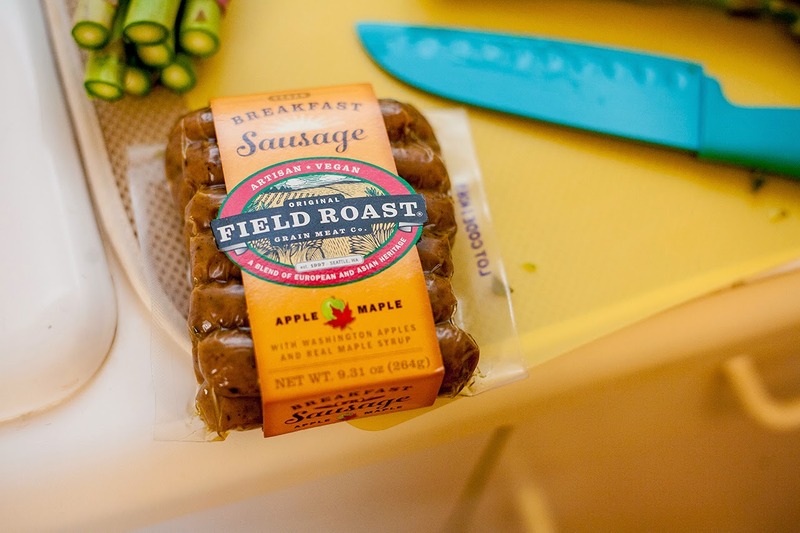 My main reason for going to Whole Foods is that I know they're the only store I can think of that sells the new Field Roast Breakfast Sausage. 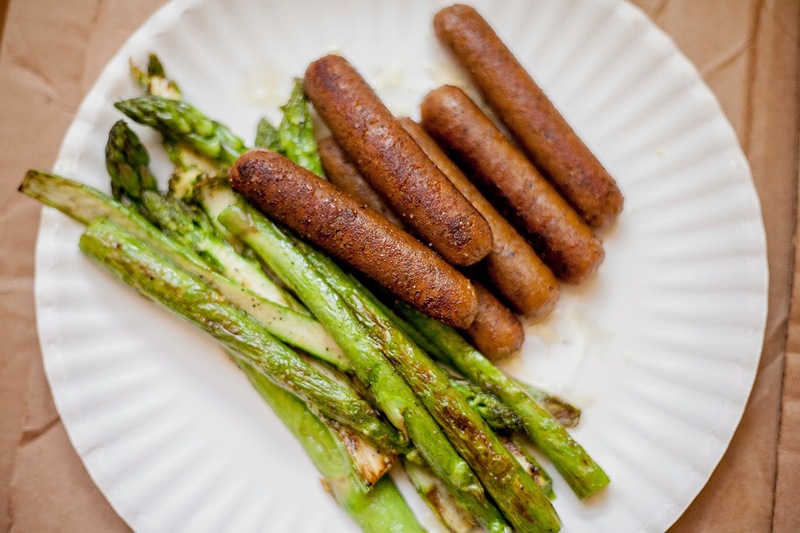 I love everything I've ever tried from Field Roast, and I love a good veggie sausage, but most veggie sausages aren't vegan, and Tofurkey kind of scares me (I'm weird?). When I heard about these a few weeks ago, I made a mental note to pick some up as soon as my budget allowed. Today was that day, and they did not disappoint. 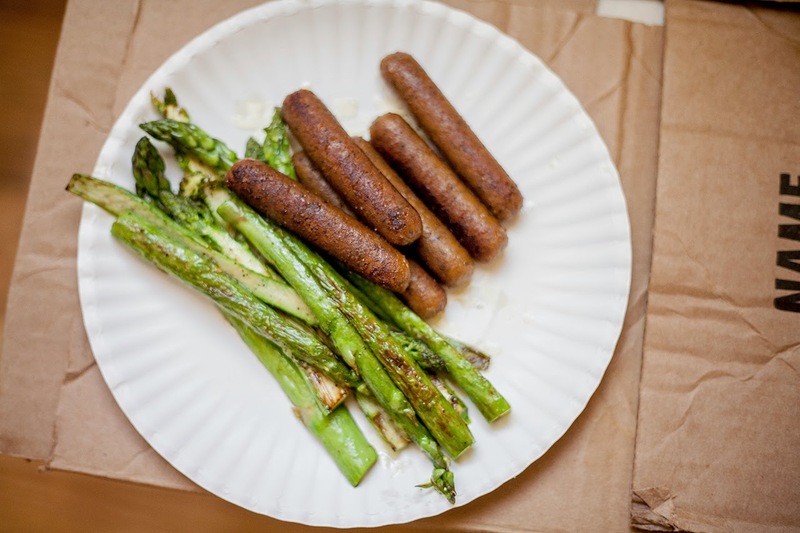 All you need to do to prepare them is heat up the same oil you heated for the asparagus, drop in the sausages, and sautee/turn with a spatula until they're browned, which should only take about 5 minutes. I know. It almost seems too easy, doesn't it? But it really is that easy. And it's good for you. And you'll end up wishing you'd made more of each, and your hands will be stained from strawberry juice. And at the end of your breakfast, you'll want to blog about it, too.